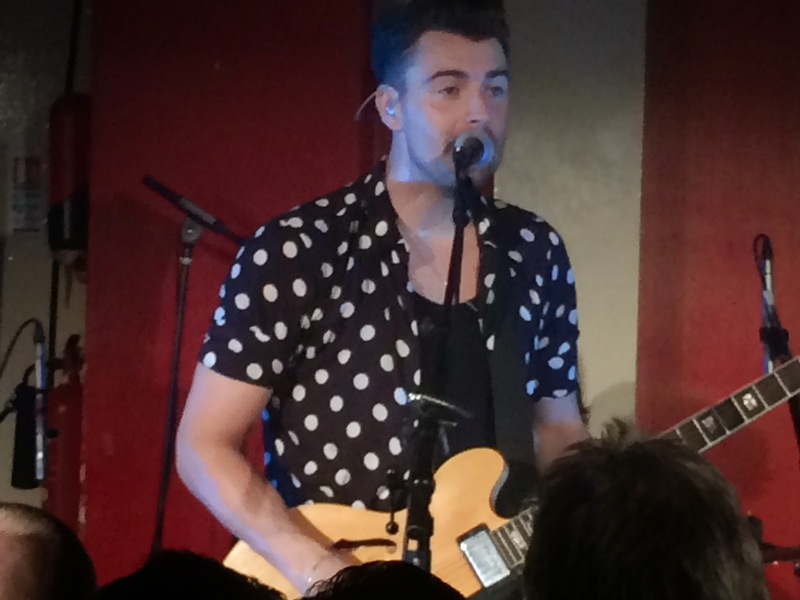 It's not often you get the opportunity to watch one of Britain's biggest bands in a 200 capacity venue so we couldn't miss Courteeners at the 100 Club in London exclusively revealing five tracks from their forthcoming album Concrete Love and a bunch of crowd-pleasing favourites. Tickets for this gig sold out in seconds and people rearranged lives to get here. We're sat on a £5 megatrainbusthing which is about the equivalent of the booking fee having witnessed one of the country's biggest bands in a venue the likes of which they haven't played for a decade. We're a little hot, a little sweaty and very much exhilarated. 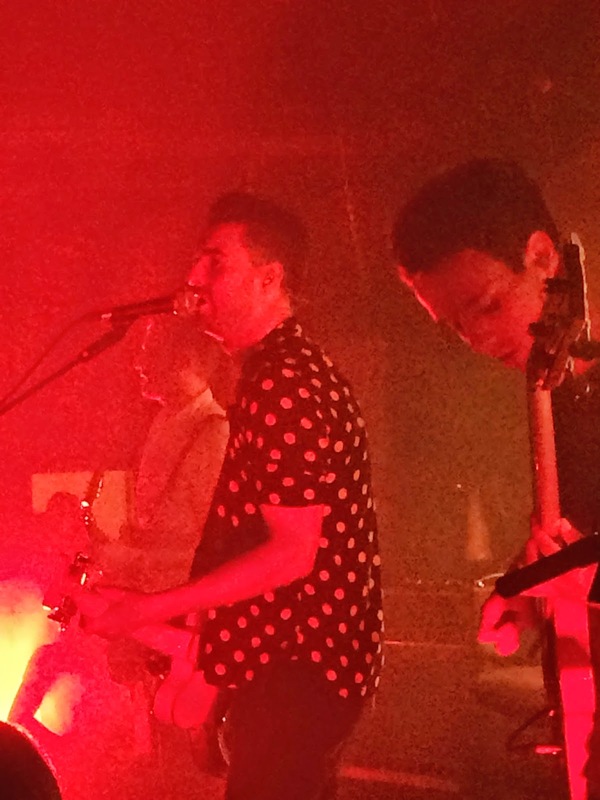 The great thing about Courteeners is that they're the people's band. Doing this gig for example isn't something a band of their size would do. The venue's actually too small for them and the sound system woefully inadequate as the 100 Club lives on its legend and is not suited at all for the size of kit Courteeners have brought with them. But that's what we've got. And Liam Fray proves himself as a direct descendent of Curtis, Morrissey, Brown and Booth as the voice of Manchester, and England's youth. Whereas their debut album St Jude was heavy on references from his home town, the nearest we get to that from the new material is a call out to a Virgin Pendolino on opening track Small Bones. This doesn't detract from the fact he's writing songs for the young and not-so-young, simple and easy to relate to - they've grown up, moved out of town and not forgotten their roots, even when Liam mockingly asks them where they're from as they chant Manchester-la-la-la. That summarises the new songs, less direct than their predecessors, but speaking to each of us as we grow older with Liam. Stories of being not nineteen forever and spending too long at the post office being replaced by worrying about whether a friend has been told whether her latest beau loves her and concerns for her well-being. Courteeners are growing older without losing that something special that made them stand out four albums back. However, the new material still, in parts, retains that singalong element, despite being drowned out by the What Took You refrain between songs, particularly on focus track Summer, but it runs through the rest, guaranteeing them a place in the hearts and record collections of their old and new followers. It's not all about new material though. Beer's thrown up in the air, steam rises off the moshpit as they roll out their hits. Take Over The World is a love song up there with There Is A Light That Never Goes Out, Are You In Love With A Notion and Cavorting are rampaging testosterone-fuelled stomps and Not Nineteen Forever and What Took You So Long (even shorn of the singalong outro and homage to James' Tomorrow) are crowd-pleasing throwbacks to their earlier years. Still one of the important and exciting bands of their generation, untainted by the adulation that chart success has granted them, Courteeners are still on the rise.